Franca Mancinelli (Italy) and Ming Di (China/USA) met at the International Translation Workshop organized by the Center of Slovenian Literature in November 2015, where six poets translated each other’s poems into six languages. Afterward Franca approached Ming for an interview because she was fascinated by the “personal mythologies” and dialogues between two languages in the poems and wanted to find out how a Chinese woman poet living in America dealt with identity issues and blended them into ancient folklore, and how a Chinese poet made her traditional roots bloom in a foreign country in the form of visual poetry. Franca Mancinelli: You live between two languages and two cultures that are very different from each other. In your experience as a translator, what are the difficulties you have to face most frequently? What do you often have to lose or sacrifice in the passage from Chinese to English and vice versa? Ming Di: After so many years of traveling back and forth, I’m beginning to lose the sense of “difference” between Chinese and English. I write in both languages every day, but English is only a tool—Chinese is the source of inspiration. In translating poetry, what gets lost are the linguistic subtleties and cultural references. What to sacrifice? Translators are making choices every day as to how to make up for what’s lost and where to find alternative ways. One has to be more creative and more resourceful. And it takes time. FM: What is the relationship between contemporary Chinese poetry and contemporary American poetry? Is there, do you think, a reciprocal interest? Is there an exchange and a reciprocal enrichment? MD: That’s an interesting question. As you may know, T. S. Eliot called Ezra Pound “the inventor of Chinese poetry for our time.” There were other translations of Chinese poetry before that time, but Ezra Pound, through his translation of a handful of Chinese classical poems in Cathay (1915), made Chinese poetry well known in the English-speaking world and beyond. You can see traces of Chinese influence in the writing of several generations of poets, from imagists, modernists, eco-poets, and various other trends. Hu Shi, the first poet and promoter of Chinese “New Poetry,” was a graduate student in the US from 1910 to 1916 and was apparently influenced by the new poetry in the US at that time. Wen Yiduo studied art in Chicago from 1922 to 1925 and became a poet. Kenneth Rexroth was his classmate and somehow became an ardent translator of classical Chinese poetry. And then Mu Dan went to study in Chicago from 1949 to 1953. Both Mu Dan (1918–77) and Bian Zhilin (1910–2000) were important transitional poets from modern to contemporary time. Yes, there has been mutual influence and reciprocal enrichment from a hundred years ago. But it’s hard to talk about the contemporary situation in a definitive way. There is a strong interest in American and European poetry among the Chinese poets, but I’m not sure if the same is true vice versa. Yes, there are formal and informal exchanges, but it’s too early to see the impact. I’m always curious about how the sonnet form was developed in Italy and whether it was influenced by Asian poetry because Li Po wrote many poems of fourteen lines. But spaghetti or noodles, pizza or dabing, do we really need to know which came first? The situation is similar and even more interesting with your country. Marco Polo brought Italian culture to China and took Chinese paintings and poetry to Italy. Chinese classical poetry was first translated into Italian and then spread to the other parts of Europe. Italian poetry has been one of the major influences on modern and contemporary Chinese poetry. Many earlier poets, such as Hu Shi, translated Dante through English. Montale was widely known in China in the 1980s. Other major Italian poets have also been translated into Chinese. I’m always curious about how the sonnet form was developed in Italy and whether it was influenced by Asian poetry because Li Po (701–762) wrote many poems of fourteen lines. But spaghetti or noodles, pizza or dabing (Chinese pan-fried bread), do we really need to know which came first? FM: You moved to the US at a very young age. Were your first verses born in the US after you left your homeland? MD: I wasn’t very young when I moved to the US. I finished college in China. I started writing poetry in middle school in my hometown by the Yangtze River, in classical forms, but soon changed to free verse due to the influence of Western literature in translation. Then I moved to Beijing, Boston, and finally settled in California. Occasionally I write in English, but I’m not a “bilingual poet.” Chinese is a more complicated language and inspires me more visually and emotionally. I started making “visual poems” in recent years. I play with words that are similar in shapes as well as in sound when I explore deeper meanings and associations. FM: After you moved to the US, did the relocation change your relationship with your old culture? Do you agree with an Italian contemporary poet, Attilio Bertolucci, who writes that “a plant transplanted in another ground can make more beautiful flowers”? MD: I do. I think I would be a boring professor if I had returned to China to make a living there. I go back every year as an observer and outsider. I wasn’t aware of the “old culture” until I became a total stranger—everything started to look fresher after I left China, including the writing system. I’m the third generation of “foreign students in another country” in my family, and the first two generations were persecuted after they returned home. But I love China no matter what. The more you are hurt, the more you hang on to your motherland. This going back and forth makes me unsettled. Artistically, I’m very isolated in the US. FM: Have you noticed differences between contemporary Chinese poets living in China and contemporary Chinese poets who choose to live abroad? MD: To me it’s not the geographic location that makes the difference. It’s the desire to reinvent poetic forms and syntax that makes a vital difference. The most courageous poets inside and outside a country share many goals: to constantly try new things, go beyond, or make old things new. Poets outside China are more exposed to Western literature but at the same time try harder to preserve the old traditions. In my case I guard Chinese as if it’s an extinguishing language among English and Spanish in California. I also guard my identity as a Chinese poet—I never say I’m Chinese American. I’m not hyphenated. I refuse to be assimilated because I know the fifty-five minority nationalities in China are assimilated and losing their languages. There is a belief that diaspora writers tend to be out of touch with societies (native country or adopted country), but I don’t think it’s true, especially in the Internet age. With or without Internet, one can choose to deal with social issues directly or in a subtle way. I never say I’m Chinese American. I’m not hyphenated. I refuse to be assimilated because I know the fifty-five minority nationalities in China are assimilated and losing their languages. MD: Virginia Woolf discussed issues of androgyny, and Coleridge said a great mind must be “androgynous.” But regardless of what they said, since I don’t possess a great mind, I do feel the “double shadows” in my body. You know Chinese yin and yang. They flow and entangle. I have more poems from a male perspective as I try to suppress my biological gender unconsciously. It happens that some of my poems talk about female identity, which is also part of me. But even in those poems I’m making fun of myself, my womanhood. I usually like to leave a poem open for multiple interpretations, but I think Zingonia Zingone’s feminist interpretation of Anna’s translation and what they do was courageous, and I’m grateful to them for introducing international women poets to Italy. 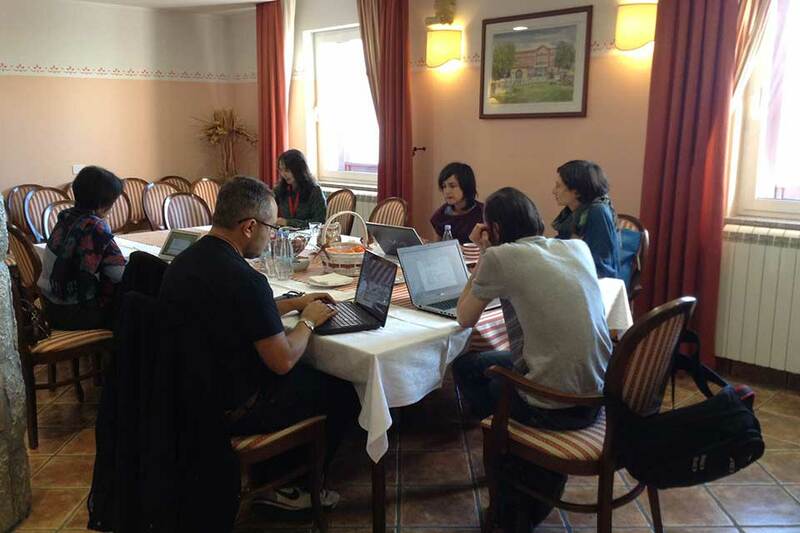 2015 Poetry Translation Workshop in Slovenia, courtesy of Brane Mozetič. Clockwise from the window: Ming Di (China), Ana Pepelnik (Slovenia), Franca Mancinelli (Italy), Arvis Viguls (Latvia), Narlan Matos (Brazil) and Bao Chan Nguyen (Vietnam). FM: We will read, in Italian translation, “Sea Leaf,” “Water Jug Constellation,” “Aquarius 2,” and “Boat.” Is there anything you would like to tell me about these poems, such as how they were conceived? Are they recent poems? Are they unpublished or from a collection? MD: First of all, thank you so much for translating them into Italian. They are unpublished poems because I haven’t found a place to publish visual poems—it’s too much trouble to print texts with images. 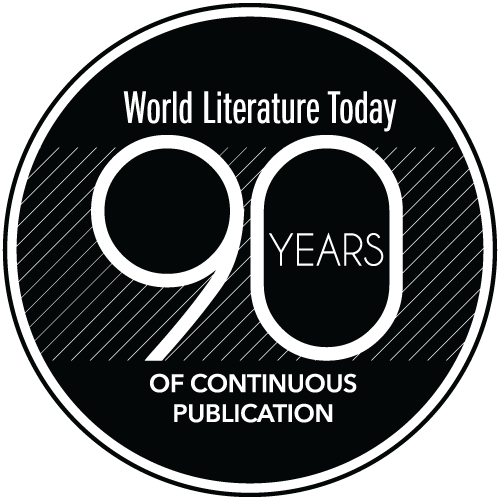 The collaborative translation of those poems in English have been published in a few online journals such as Poetry International, and two pieces appear in the May 2016 issue of World Literature Today. I’m grateful to the editors and my co-translators. There were multiple circumstances that prompted me into making visual poems: Ezra Pound’s use of Chinese characters in his Cantos, my interaction with visual artists at Vermont Studio Center during my first residency there (I was there twice, one month each time), Christmas trees from a German friend, and the haunting imagery of “hands hanging out of tress” in Liu Xia’s poems. My visual poetry is not the same as the concrete poetry in Brazil in the 1950s or the visual poetry in France among the early modernists. I do see my writing as a continuation of the French and Brazilian traditions, but I don’t rearrange my poems per se into different shapes like they did. Instead, I make an image of one or two Chinese characters in many different ways such as deconstruction or responding. Chinese characters are materials as well as inspirations. Each image is a poem by itself. The extended text is another poem that responds to the image. FM: Why is it that two of your recent poems talk about constellations? MD: I always think that my mother went to a constellation because I didn’t physically see her dying—the news came to me on the phone. For five years I couldn’t talk. Fifteen years after she passed away I started to speak to her in poetry. The only way to let her see my poems is to make my words stretch arms and legs so she can see them from the sky. that you might notice them. will see me in these roiling insects . . .
FM: Can you tell us about the creation of “Birdisland” and how the peculiarity of this poem can be lost in translation? MD: “Bird” and “Island” are almost identical in Chinese: 鸟 岛. They both have the shape of a bird with an eye. The only difference is that “island” has a “mountain” inside the body. They sound almost the same except the initial consonants: niao, dao. I’ve made a new word by putting the two words together, birdisland. My questions is: “Is a flying bird the shadow of an island? Or is an island the shadow of a bird in flight?” I don’t know if you have two words in Italian that respond to each other as they do in Chinese. I don’t know the best way to translate this poem into English either. The glossary below the image may help a little bit. The poem came to me when I was searching St. Lucia in Google Maps—I was astonished to have a bird’s-eye view of such a tiny island among so many tiny islands in a huge ocean. The view brought tears to my eyes and then this poem. I had to control myself very hard to make the tone peaceful. FM: In your poems your imagination often draws on ancient Chinese stories or folklore, which must be about your relationship with your roots? MD: Thank you for the observation. I would say yes and no. Yes, many of my poems seem to be about Chinese mythologies, but no I try to re-create new mythologies. Yes, many Chinese mythologies are related to constellations or the sky, but I don’t like to repeat them. Nuwa was a goddess that patched the sky when a big flood broke the ancient universe in the East. But my grandma was even greater. She sat in the east of my hometown like a mountain and gave birth to a flower each day. 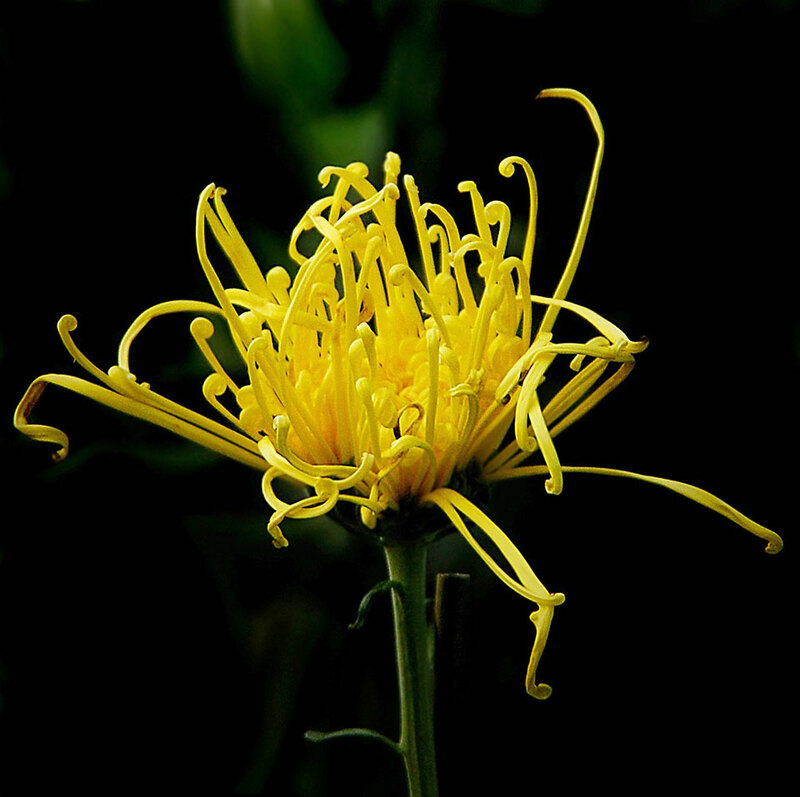 I was born out of the chrysanthemums, uninhibited and yellow. Ming Di is a Chinese poet and translator living in the US, author of six collections of poetry. Her work has appeared in many important anthologies in China. She is the China editor for Lyrikline (Berlin) and Poetry International (Rotterdam). She has received fellowships and awards for translation from the Henry Luce Foundation and the Poetry Foundation. Franca Mancinelli (b. 1981) has published two books of poetry, Mala kruna (Manni, 2007) and Pasta madre (Nino Aragno, 2013). A preview of her second book of poetry has appeared in Nuovi poeti italiani 6, edited by Giovanna Rosadini (Einaudi, 2012). She contributes as a critic to Poesia and other literary journals. Editorial note: The Italian version of this interview will be published in the poetry yearbook Argo – annuario di poesia 2016 and on the Argo blog.